Have you ever used that phrase? It derives its origin from the fact that cucumbers can be up to 20 degrees cooler inside than the ambient temperature — due to their high water content! So if you're feeling wilted on these hot summer days, what better way to refresh than with cucumbers? They contain vitamins, minerals, and polyphenols that help support your body's defenses against disease. They're tasty. 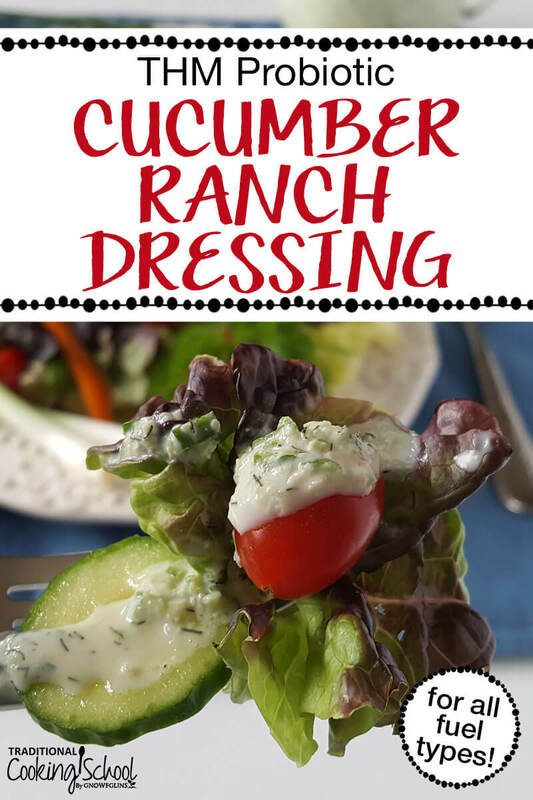 And… they make a fabulous cucumber ranch dressing so you can make salads instead of heating up the kitchen! Plus, if you're a Trim Healthy Mama, you'll be glad to know that this versatile salad dressing works with any fuel type. Bonus! It's also probiotic to support gut health! 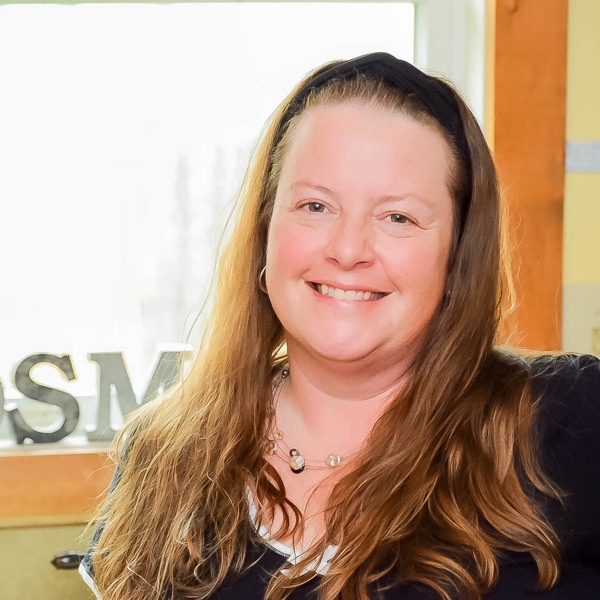 When I was pregnant with my daughter, it was summer and I craved cucumber ranch on all the things — especially baked potatoes. More potatoes than I care to admit were happily consumed before she was born! How I wish I’d known then what I know now about processed foods! Thankfully, she is healthy in spite of my poor pregnancy eating habits. If you're pregnant (or hope to be someday), this article on Pregnancy Nutrition: What to Eat and When Based on Baby's Development will help you nourish your baby! This now grown-up daughter of mine loves this salad dressing! I feel good making it for her because it's full of flavor, nutrients, and probiotic goodness without any unhealthy, processed ingredients. Options are great, right? That’s what you'll love about this dressing – you can easily make it to suit any THM fuel type. Finish all your summer salads with this creamy THM Probiotic Cucumber Ranch Dressing with adaptations ALL THM fuel types! Make it with homemade mayo, Greek yogurt, or sour cream. So yummy and easy! Using the fine shredding blade, shred the cucumber into the food processor bowl. Replace the shredding blade with the chopping/pureeing blade. Add garlic and fresh herbs. Pulse on low until as chopped as you prefer. Pulse on low until well mixed. Allow to chill in the fridge for at least an hour or two for flavors to develop. Overnight is even better! Finely chop, shred, or puree your seeded cucumber. Mince or press garlic cloves. Finely chop or mince the fresh herbs. In a mixing bowl, combine cucumber, fresh herbs, and remaining ingredients. If you like a smoother dressing, feel free to make it in a blender instead of a food processor or by hand. For a Fuel Pull (FP) dressing, be sure to use low or non-fat kefir that has been fermented for 48 hours and non-fat strained (Greek-style) yogurt. If using non-fat kefir and yogurt, add up to 1 tablespoon MCT oil, if desired. For a Satisfying (S) dressing, be sure to use kefir that has been fermented for 48 hours, but feel free to use any fat percentage. Whole milk strained (Greek-style) yogurt can be used. Feel free to add any amount of MCT or olive oil. Try using full fat cultured sour cream or homemade mayo (or any combination of these ingredients). If you make this dressing Fuel Pull style, you can use it on any salad you choose! 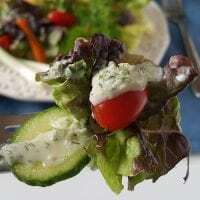 Or, if you're aiming for a THM:S meal, drizzle a bit of MCT or olive oil on your S salad before pouring on this cool and refreshing THM Probiotic Cucumber Ranch Dressing. When you're hot and wilted, the last thing you need is complicated, right?! What will you put on your salad (before this Cucumber Ranch Dressing)? yes it does sound refreshing. As I am trying to get away from processed foods, per doctors request, I am enjoying your posts and videos.